With the introduction of the Weird Wave Cafe, the rise in rent prices have skyrocketed this past year. As it stands now, deciding whether to be for or against gentrification is challenging. 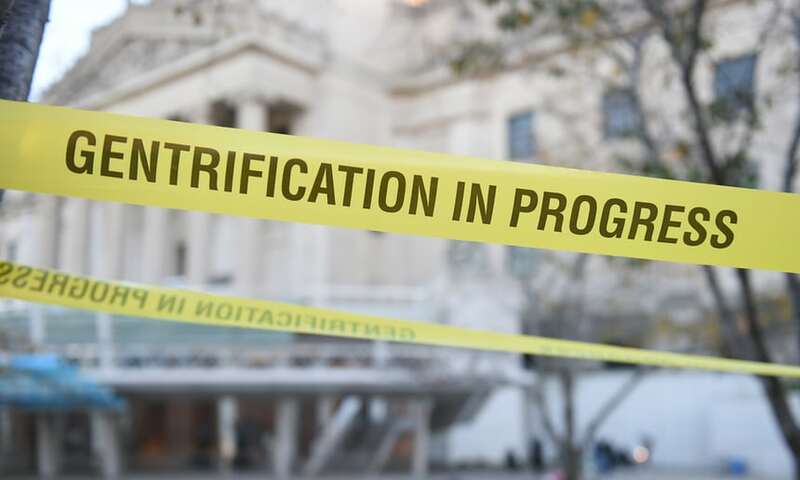 There are always two sides to an issue and gentrification is no exception. It’s important to refrain from absentmindedly following common trends in your community or simply abiding by what someone else says. It’s time to make your own decision here and now. Well, wait until after you’ve read this article to make your decision. At first glance, gentrification seems as though it would be bad, but that is only because of how it is interpreted by certain people. Critics come from places that are being gentrified, primarily historically low income and underrepresented communities. The sad thing is, they have a point. When a new business or shop that is part of a larger company arrives at one of these neighborhoods, it unintentionally brings the value of surrounding property up. For instance, an art gallery comes to Boyle Heights and suddenly it’s a new attraction for people with deep pockets and business owners around the gallery notice it. They raise the prices of their products because they know the new people coming to visit are willing to pay more than their average customer. Yet, it is not only business owners who are raising prices but also landlords; they notice that the place they own has become more attractive to a wide variety of people because of the stores and centers that are nearby. Thus, buildings that are not rent controlled will change the amount of rent to an astronomical number that the current resident can’t pay. They are forced to move out and make way for new people. Now, if you look at gentrification from a different standpoint, it becomes a way to unite a community. What I mean by this is that when a new business or shop opens up it can have a positive affect instead of a negative one. For example, this could lead to a large amount of jobs for members of a community and lead to the beginnings of communication between businesses and community members. Another upside to gentrification that is worth taking into consideration is the effects gentrification can have on the community itself. With far more diversity in businesses and schools, the streets are far safer than before. This point of view is not common in people, especially if you are from the low-income communities. There will always be the negative side to gentrification, but hopefully thanks to this article you decided that it was bad on your own, and not because you heard someone say it was. Try and look at the positives and what can come from this change in your community. I am in no way trying to force you into this way of thinking, but there have been many negative connotations towards gentrification, it almost seems biased. So now think clearly as to what side you are on.